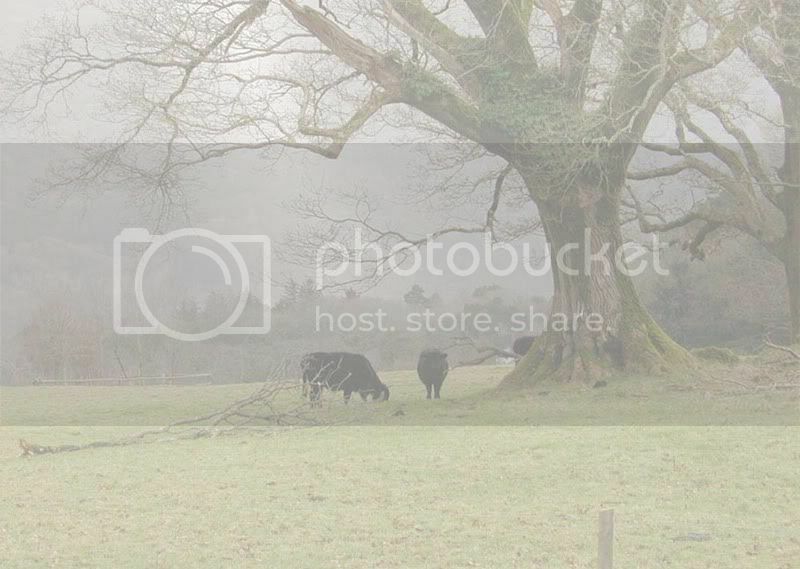 This page will house all the foals we own that are too young to breed. When they are old enough, they will be added to the appropriate breed page. Lines to First Down Dash[QH], Dash for Cash[QH], Chicks Beduino[QH], Broad Brush[TB], Halo's Verdict[TB]. Awards: Live and photo show placed. 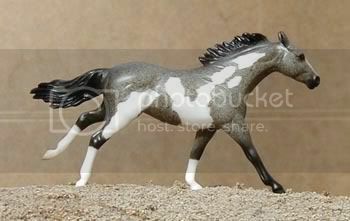 Model information: Breyer Stablemate scale G2 Thoroughbred mold; #5981 Stablemates Horses Gift Pack, produced 2002-2006. Lines to Zan Parr Bar, Two Eyed Jack, Three Bars[TB], Go Man Go, The Invester, Zippo Pat Bars, Poco Bueno, Issue Of Gold[TB], Gold Apollo[TB], Native Dancer[TB], Northern Dancer[TB], Risen Star[TB], Secretariat[TB], Bold Ruler[TB], Nasrullah[TB], Zippo Pine Bar, Dash For Cash. 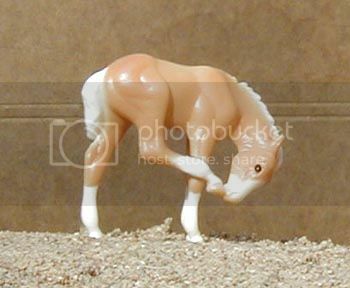 Model information: Breyer Stablemate scale G2 Scratching Foal mold; Stablemates Fun Foals Gift pack, produced 2002-2006. 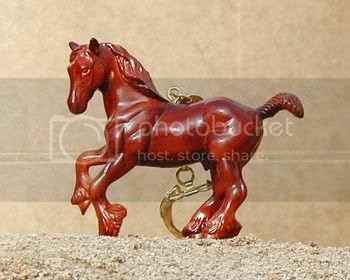 Model information: Breyer Stablemate scale G2 Drafter mold; Breyerfest Stablemates Keychain set, special run for the 1999 Breyerfest; 1,500 made.